Is there anything more annoying than a slow website? Probably, but it’s close. A fast-loading website is the first step in creating an enjoyable customer experience. To improve loading speeds, think about upgrading your hosting to a high-performance one tailored for e-commerce needs, or a managed one, optimized by the hosting provider itself. Alternatively, consider using a content delivery network which delivers high availability and high performance both locally and overseas. By simple, we mean using larger imagery and to-the-point text, thus avoiding feeding too much information at once. Large, beautiful photos are trending right now. 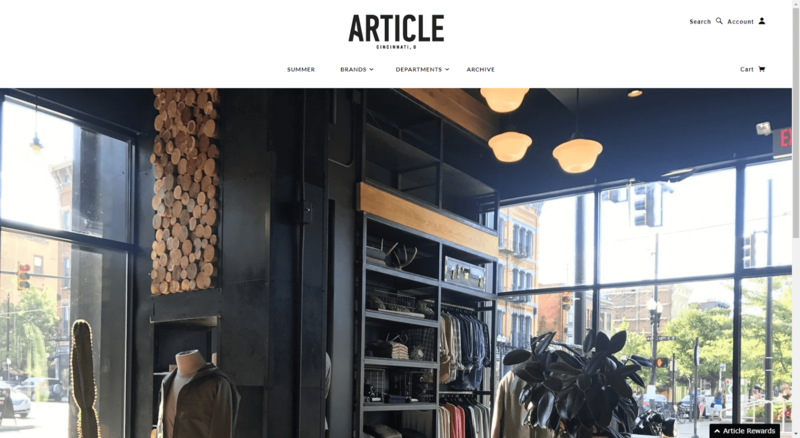 Article, men’s clothing company, is one such example, demonstrating simplicity yet making its visitors scroll and browse around. However, it’s imperative that this design translates equally to different devices. In particular, it needs to be mobile responsive and look great on multiple platforms for a singular experience. With navigation, the key factor is finding that perfect balance between showcasing all your products and making them easily accessible. Being visually flashy is great from an interactive point of view, but what you want is a quicker and more streamlined customer experience. 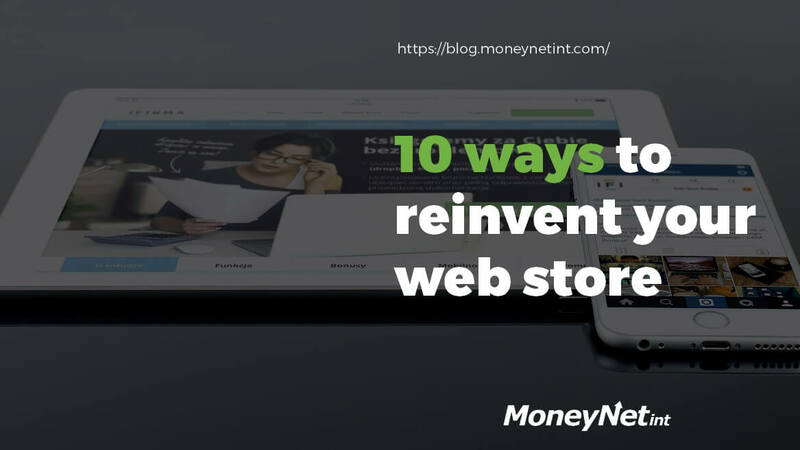 If there are elements of your store that slow down or clog your web store, get rid of them in favor of a bit faster access to your products and store information. In the same vein of making your products easy to find, simplifying the checkout process is highly encouraged and welcome. Cart abandonment is an all too familiar problem , so to avoid it in r your checkout process try not to have any unnecessary obstacles. Sign up newsletter pop-ups, additional cross-sell marketing tactics, registration wall and so on can all be placed somewhere else, ie. anywhere but checkout. In addition, implement a one step checkout or reduce the number of forms needed to complete the purchase. Placing product reviews on your product pages to create trust and provide insights is a great way to increase sales. Amazon customer reviews are a great example of this, representing an integral part of product research when shopping on the world’s largest retail store. Regarding your own business, you have more options. For instance, you can feature your top rated gifts for both men and women on your homepage for Valentine’s Day. You can also create landing pages that show top rated products from a particular specific category. To generate these reviews, there’s always an option to utilize a social review app that helps convert customers to reviewers via email. This automated process can further overlap to your social media accounts by directly posting there. The reviews will increase social traffic to your product pages and, in turn, increase sales. Today, being SEO conscious plays a big role in e-commerce ventures. Having a correct page title, meta description and URL is what drives the visibility of your web store in the search engine. Having these fields properly filled can provide the search engine a better understanding of your store, not to mention increase the chances of people directly clicking on your links from the search results page. In that regard, the title should have no more than 70 characters, the meta description should be up to 160 characters and include one of your keywords, while the URL should also contain relevant keywords tied to a specific page, if possible. Rand Fishkin, CEO of Moz and a bonafide SEO expert, explains in this blog post why having great content is not enough for good SEO in most cases. It’s simple: if you want to get paid, you need to set up multiple payment options. Different trusted payment gateways at the point of payment bode well in the eyes of customers. 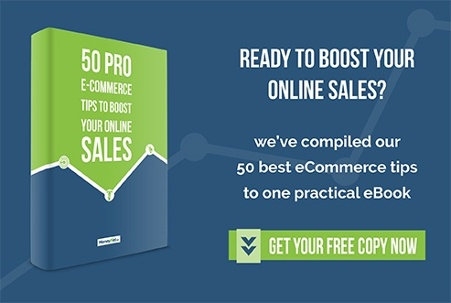 More options mean less hassle and more conversions. Never underestimate the customer’s willingness to pay on its own terms, be it via a credit card, specific payment processor, offline payment, or something else. Simply put, supporting a preferred payment method makes customers more comfortable when purchasing. Sometimes, you need to create a sense of urgency to give your customers that final push to make a purchase. Buyers often have the nasty habit of losing attention quickly so you need something to grab it back. For example, promote the end-of-season sale by highlighting the products in question or employ coupons for 1+1 deals or offer significant discounts off your entire catalog for a limited period. There are many possibilities and the more you give to your customers, the happier they’ll be and more likely to return. 10. Be more informative and visual Once your visitors land on your online store, you don’t need promotional content anymore. That phase is done, for the most part. Instead, focus on your on-site content being informative. Have your shipping, tax, and return policies clearly displayed and updated. On a similar note, maintain a straightforward FAQ page that answers any questions the customer might have and double check that all information is listed. The visual element helps with a focused, direct message about your store and its lifestyle. Using hi-res photos, 360° rotating images, videos or user-generated photos are some of the best ways to create trust in potential buyers. Customer trends are changing frequently so you might want to consider investing time in keeping your online store up to date. Making sure it’s appealing and fresh at any given moment, especially producing awesome customer experience will increase your sales and grow your business. From speeding up your site loading times to accurately representing your products and your brand, you can improve your web store with these simple fixes that will make a huge difference in the end.